"Know Your Customer" or KYC refers to the process of verifying customers' identities before or during the start of Cobo's relationship with them. It is a precaution against illegal transactions and activities (i.e money laundering). In order to meet legal requirements, users are required to have reached KYC Level 3 or above to access our BitGrow products. 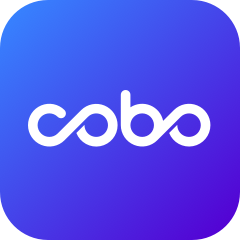 There are 5 KYC / Security Levels in Cobo Wallet. 1) Click on "Settings" at the top right, then tap "Security Level". 2) Next, simply upload the required information for the respective KYC level! Note: For photo (KYC Level 3) and video verification (KYC Level 4), please ensure that the photo and video are clear and not tampered with (no watermarks, editing of photos etc). Can I KYC without a passport? 2) A photo of you holding your identification card (selfie). We will then pass the KYC audit manually. How long does it take for KYC verification? Generally, KYC verification (with photos/ videos) will take up to 1 - 3 days. Otherwise, it should be an instant verification!